We heard a handful of Karl Jenkins’ Motets being performed by the Camerata Choir last weekend at Wolverton Manor and they were excellent. Highly recommended. At 7pm on Saturday 6 December the Camerata Chamber Choir will be performing at St Mary’s church, Brighstone. The concert programme will be a mixture of Christmas music and the Isle of Wight premier of Motets by Karl Jenkins. Motets are a selection of songs, some drawn from the Welsh composer’s major choral works, with an arrangement more suitable to be sung a capella. While they are not all specifically seasonal songs, Jenkins’ irresistible melodies, sparkling soprano lines and rousing crescendos can surely form a beautiful musical launch at St Mary’s for the famous Brighstone Christmas Tree festival, starting the following week. Camerata are looking forward to this opportunity to perform the beautiful and strangely familiar songs without accompaniment in one of the Island’s finer music venues. The arrangement of Motets seems to come more from Jenkins’ jazz roots and are an interesting departure from his better known chorus belting, cymbal clashing works such as The Armed Man. The Island choir is also enjoying its originally intended, more intimate chamber format and relishing the challenge of not relying on correctly tuned instruments. 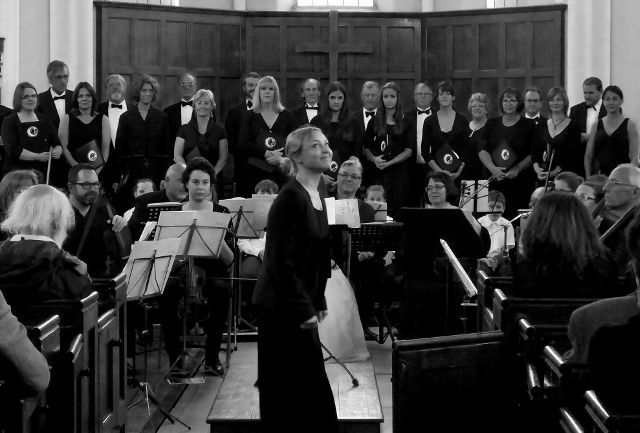 The choir has performed with an international orchestra in front of thousands at the Albert Hall but a smaller, cosier venue like this rural church will be a chance to demonstrate a unique collection of handpicked voices beautifully blended under the musically aware and passionate guidance of Lithuanian music teacher, Jurgita Leistrumaite. Find out more by visiting the Camerata Choir’s Website where you can also book your tickets.